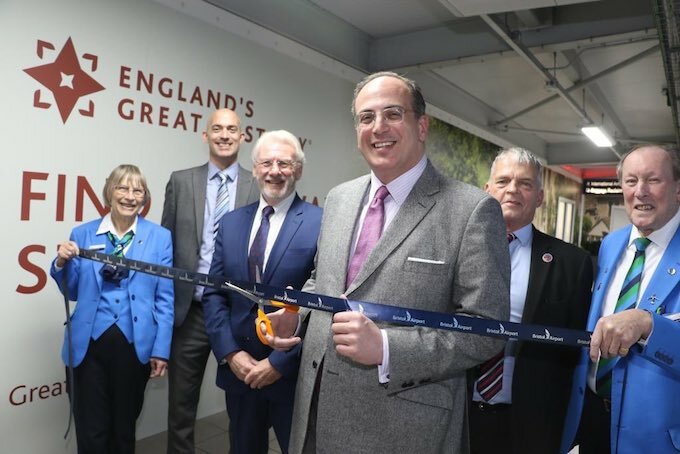 Tourism Minister, Michael Ellis MP, has trodden the path of the Great West Way, a new touring route from London to Bristol, which aims to attract 1.5 million new visitors to the region over 10 years. As part of his tour he visited some of the iconic locations along the route, including Highclere Castle (AKA Downton Abbey); Avebury, Europe’s largest stone circle; Lacock, the National Trust village that is one of the most filmed in the country; and the Roman Baths, home to the UK’s only natural hot springs. Ellis also visited Bristol Airport, a key gateway to the route, to unveil new imagery of the Great West Way, depicting four ways that the multi-modal route can be explored – on foot, bike, train and canal boat – and bearing the message: ‘Curious Travellers Start Here’. The airport already serves more than eight million passengers a year and expects its inbound traffic to increase following the launch of the route, which is being marketed internationally and has secured £1m funding from UK Government’s Discover England Fund, designed to boost inbound tourism. The Minister then spoke at an official networking launch event at The Roman Baths, where 52 suppliers (including attractions, hotels and tour providers) met 42 international and domestic travel trade buyers (tour operators and wholesalers) to create bookable packages and itineraries. These will be marketed in the primary target markets of the US, Germany and Netherlands and will aim to encourage international visitors to travel to the region, to stay longer and to delve deeper. Attendees were the first to see the Great West Way Travel Trade Directory, featuring 350 local businesses and a key tool in helping trade develop bookable product along the route, and a new film that showcases all that the route has to offer, from iconic attractions such as Stonehenge, to rolling green countryside and chocolate box villages. Buyers then spent the weekend touring the Great West Way on one of three ‘Discovery Visits’, each designed to showcase the route’s key attractions, including Hampton Court Palace, Henley-on-Thames, Lacock Abbey, Avebury, Bowood House and Gardens, Thermae Bath Spa and SS Great Britain. Great West Way director, David Andrews, said: “The Great West Way is an innovation in product development and will greatly enhance England’s tourism offer to boost international and domestic visitor growth and spread the economic benefits of tourism across the region. 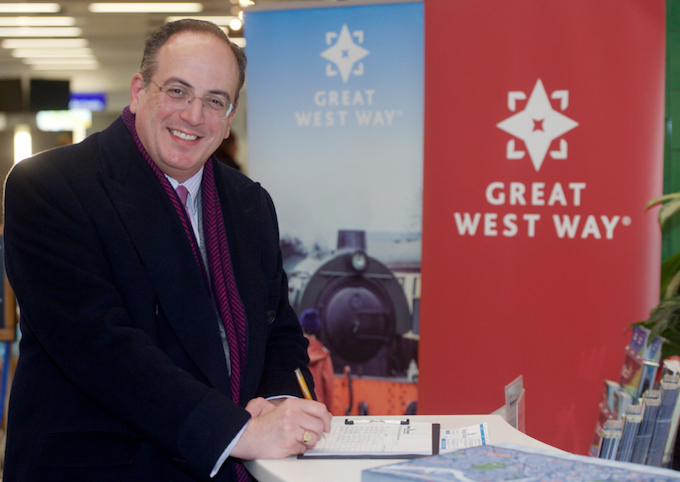 Michael Ellis, Minister for Arts, Heritage and Tourism, said: “I am thrilled to be treading the path of the Great West Way – the UK’s first touring route of its kind. “We know that this region has so much to offer visitors. Now we want the world to know. This move will deliver personalised visitor experiences that take in the Great West Way’s destinations, accommodation, attractions and transport options.